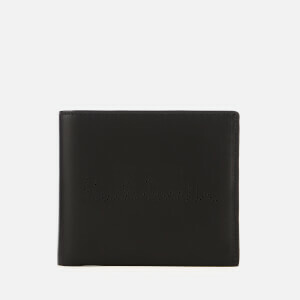 Paul Smith black leather billfold wallet with a film print on the textured interior. 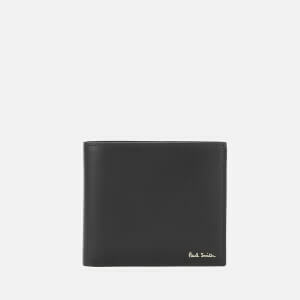 The inside of the wallet comprises eight card slots, two side slot pockets and a note compartment. 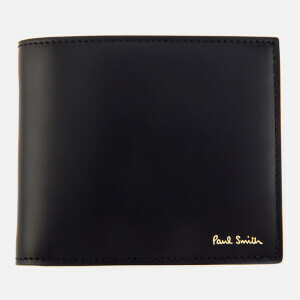 A signature gold foil Paul smith logo on the outer right corner completes the design. 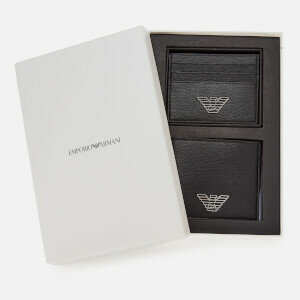 Presented in a branded gift box.